Can you burp 'sushi' for me? Lol can you burp sushi? My friend can! And it's gross & funny at the same time. There goes my appetite? Hell no! Last time we ate there, we end up at the 2nd round. Bad huh, I know..
Soooo we decided, no matter what to break this silly record and we did it! We finished with a score of a fourth round! Actually I wanted to stop at round 3 but my friend was pushing and nagging so I had to join her this war. I coudn't see no more sushi after that. I was so stuffed! I think if you poke my belly all the sushi and food will come out like a fountain. I was reaaally curious how cheese & sushi would be like and it was actually very okay! The roll was filled with tuna & cucumber with on top melted cheese & chilli. Heaven. 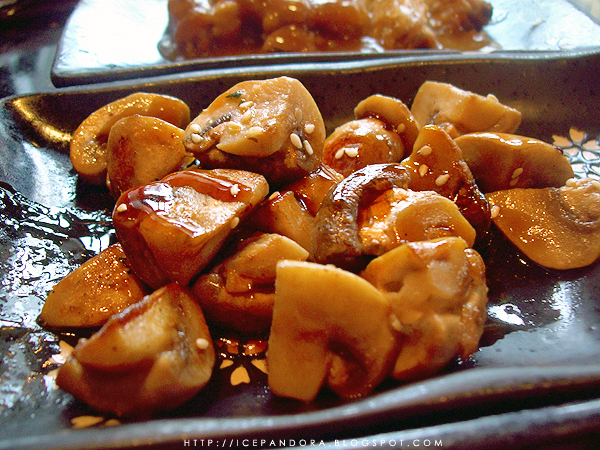 Grilled mushroom with sesame & soy - Me and my girlfriend ordered this twice! So good! 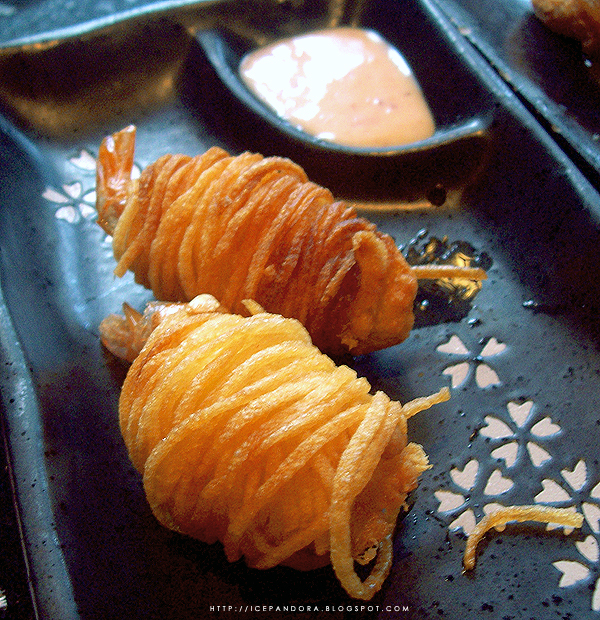 Fried shrimps - slightly dissapointed because of the size and the overwelming of the shell around it. There was a tinybit of a shrimp inside! Other than that, the taste was nice and so was the sauce. 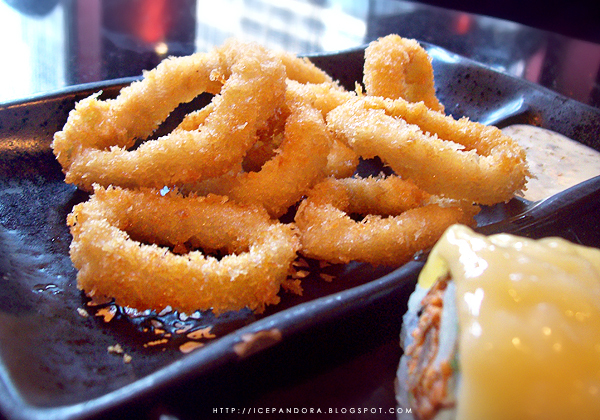 Fried squid rings - My friend didn't like it but I did! omgosh I can eat this all day. Argh I messed up with my HTML codes of my blog now it looks reaaally dodgy..
Music: Nigahiga & KevJumba & Chestersee - Shed a tear Funny? Yes. Good singer? Not bad! All go listen to these Youtube heroes! 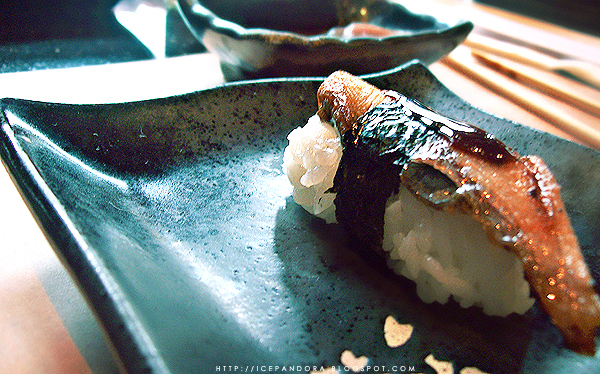 :O the sushi looks so yummy!!! 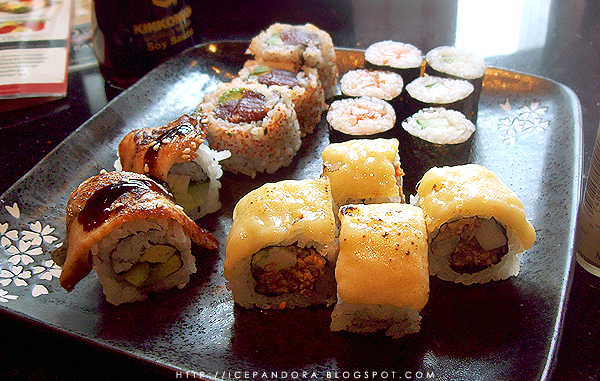 i love sushi too ><!!! thanks 4 ur cute cmt! where u got this cute stuff from? 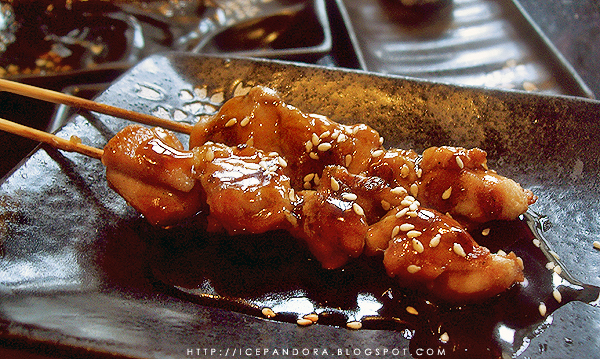 oh these pictures are making me really hungry!!! Oh god. @_@ ALL OF IT LOOKS SO GOOD. And that's actually a really good price for all that food! Lol. xD Shed a tear was funny. Oh yummy! 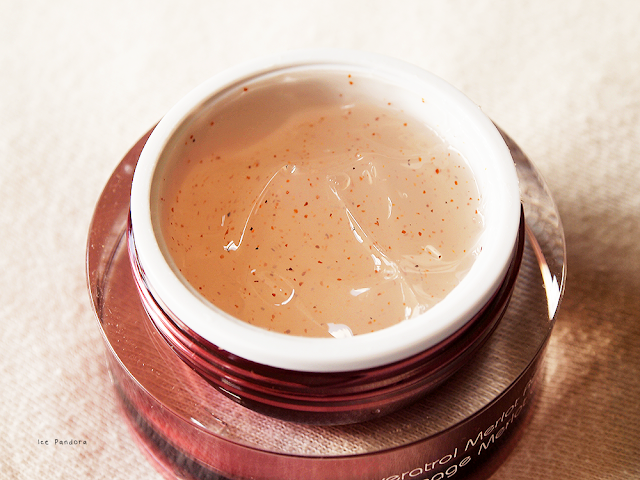 <3 I love Japanese-Korean fusion. We have one here in California and it's all you can eat too! The food looks so good! Oh myy, i love sushiiiii ! 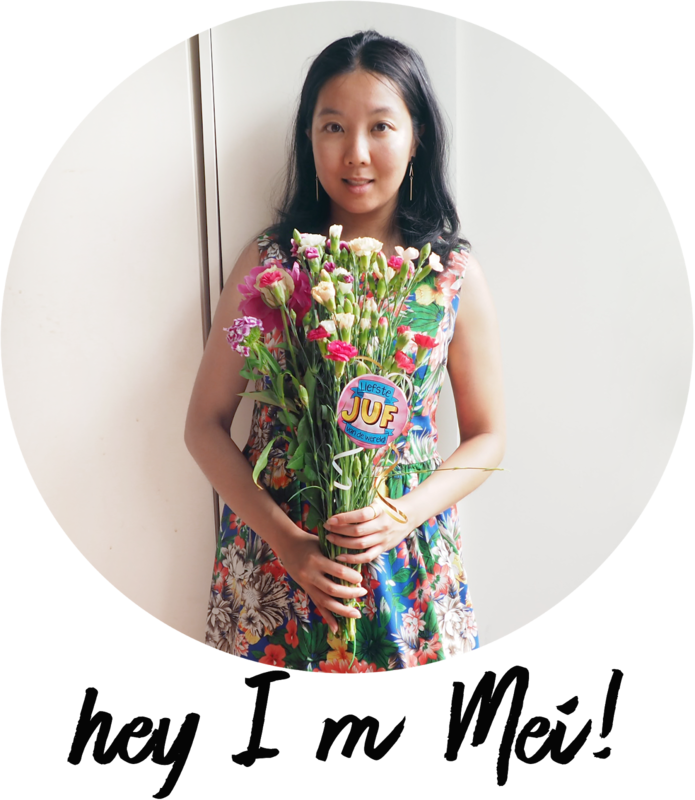 i want to learn how make some myself, but I'm such a klutz, hahaha ! 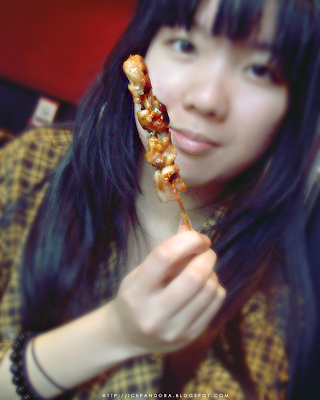 All those pictures of food is making me hungryyy, yuuumm ! 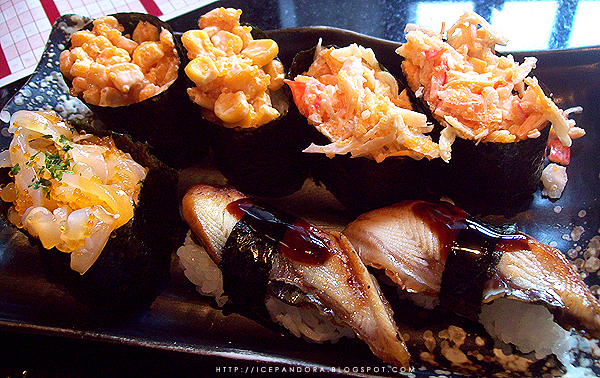 oh my got, i LOVE sushi so bad, n this post has got me so HUNGRY!!!! !